P & T – the brand for upscale tea culture – will set up a special tea bar and mobile tea wagon, which will be on hand for the visitors and gallerists to the Station this weekend who are in need of something warm and refueling to drink. Amidst this panorama with 130 galleries from around the world, P & T offers visitors a selection of their products to try and purchase. Among these you can taste Pu-Er-Bai-Ya, a mixture of white and pu-erh tea, with the unopened buds of 300 years of Chinese Pu-erh trees. Also, the self-created tea by P & T Sacred Emiliy is combined from several teas: freshly picked rose buds, white jasmine tea and Darjeeling tea are mixed here in this brew. 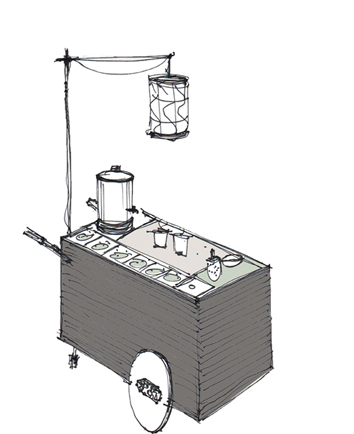 In addition to the tea bar there will for the first time be a mobile tea wagon, which will provide attendees and gallery of fine teas throughout the grounds of the abc.